Unidentified cactus - perhaps Sonoran. / *CORRECTION! My old friend the scientist-musician John Ullman, who knows the southwest better than many, corrects me. 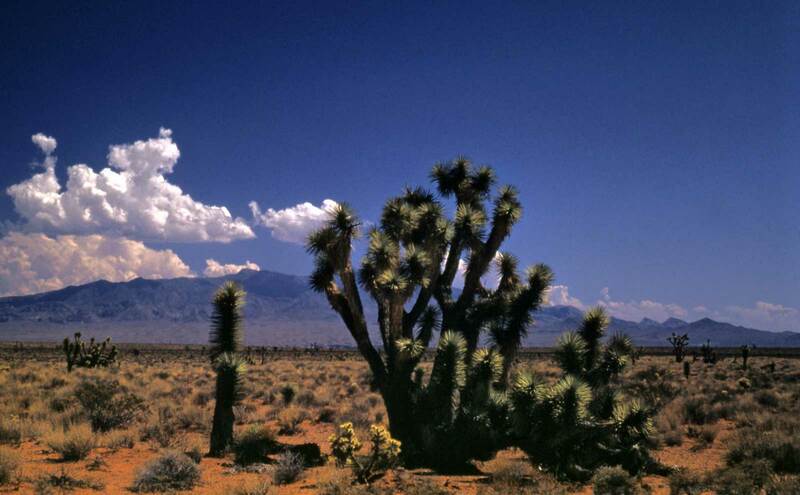 John writes, "There is a small cholla cactus in the pic today, but the main image is a yucca, not a cactus Possibly it is the species commonly called a Joshua Tree. I am now at the very edge of my botany chops."